Bone density loss or low bone density is medically known as Osteopenia. This is a condition in which the bone density (bone mineral density) is lower than the normal levels. Osteopenia is considered as a precursor of Osteoporosis. 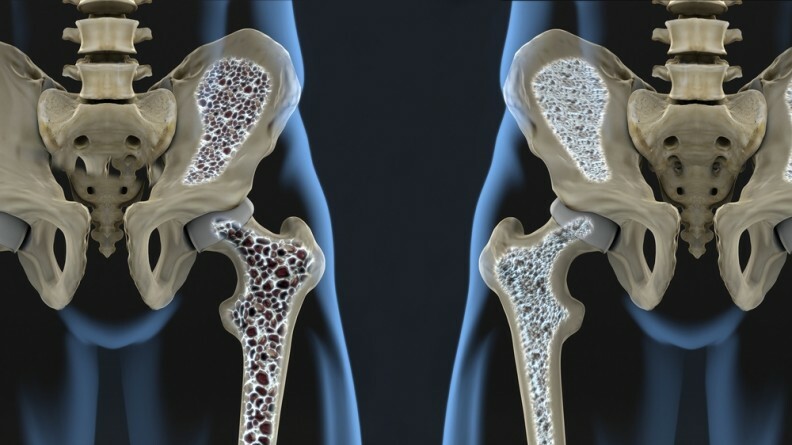 Osteoporosis is a disease, in which bones become so weak that they are easily broken. Most of the people with undiagnosed Osteopenia develop Osteoporosis. A person is referred as patient of Osteopenia depending upon the bone mineral density. Bone mineral density of Osteopenia is between -1 to -2.5, and where for Osteoporosis the bone mineral density is less than -2.5. Treatment for bone density loss involves prescribing medicines. 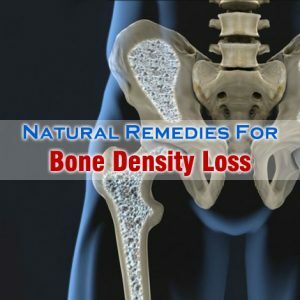 There are certain natural remedies for bone density loss. These natural remedies involve important lifestyle changes that will help in reduce the bone density loss. What we eat plays an important role in developing bone density. Make sure to include foods rich calcium to your diet. Calcium helps in build lost bone density. Foods that are good sources of calcium are milk, cheese, yogurt, salmon fish, orange juice, and green vegetables like spinach, broccoli, etc. Vitamin D is also one of the effective natural remedies for bone density loss. Vitamin D helps in absorbing calcium and other minerals from food. Morning sunlight is the best and easy source of vitamin D. Vitamin D is also found in eggs, sardines, salmon, and some fish oils. Along with getting calcium and vitamin D, it is also important to do exercise regularly. Exercising regularly helps in stopping bone density loss, and also strengthens bones. Consulting your doctor will provide you with the information about type of exercises to follow. You can do weight bearing exercises like walking, dancing, and hiking. Bad habits like smoking and alcohol consumption also results in bone density loss. So, make sure to quit smoking, and control alcohol intake, if you want to control bone density loss. Along with these two changes, it also best to restrict the intake of cola drinks. There are many health benefits of drinking green tea. Drinks green tea will also helps in improving bone mineral density. Drinking green tea helps in stimulating the bone-forming cells, and stops the bone mineral density loss.